The Leeds offices of property consultancies Knight Frank and Gent Visick have brokered two deals at Ripley Close, Normanton, a prime West Yorkshire industrial estate. Medical Gas Supplies and Hey Safe Cleaning have both taken just under 5,000sqft on a five- year lease. The two deals follow the letting of Unit 8, which extends to 4,802 sqft, to Anglian Group, also on a five-year lease. 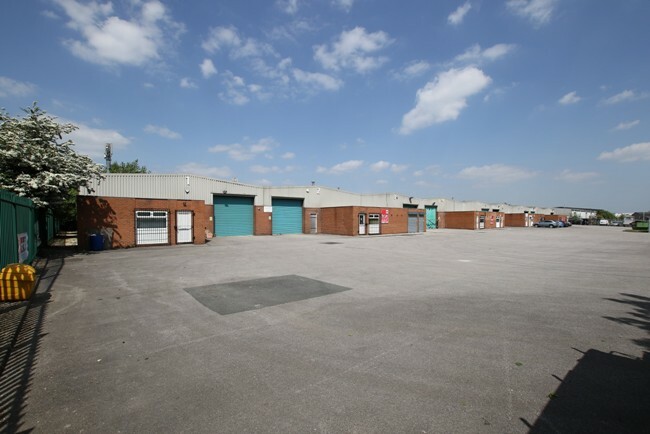 The estate was recently purchased by Ribston, a growing property company that specialises in multi-let industrial estates. The 43,000 sq ft estate, which comprises nine industrial units and a large, secure shared yard, is situated off Junction 31 of the M62. It is already home to tenants including Solupak, the Anglian Group and Flue & Ducting Limited. Ribston has undertaken a major refurbishment which has including re-roofing, recladding the elevations of the whole estate and refurbishing the vacant units internally. The estate now offers high quality industrial and warehouse accommodation ranging from 4,762sq ft to 9,536sq ft. There are only three units remaining available to let. Gent Visick are the joint marketing agents with Knight Frank advising the landlord Ribston.